While Shakespeare and Romeo may have been onto something sweet with, “what’s in a name? That which we call a rose. By any other name would smell as sweet.” (Romeo and Juliet, II, ii, 1-2), renaming things and creating new words doesn’t always work for a brand. While the jury is still out on KFC’s Goodification campaign, it has created a bit of controversy for itself with their YouTube ‘What is Goodification’ clip and well the creative licence taken with the English language throughout the campaign. …then there were the comments on social media—a vast majority of which were less than kind. 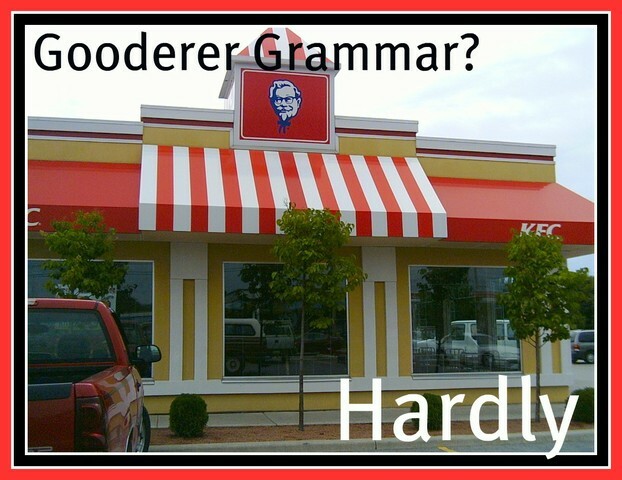 Wizzley with their ‘Appreciate gooder grammar now, KFC?’ made me laugh, probably a little too hard. As children we learn the word good and how to associate with things. I was promptly corrected if I tried creative derivatives like ‘gooder’ or ‘gooderist’. Personally the wording in the campaign turns me off. It erks me that children are running around with the idea that ‘gooder’ is a word. Social media comments suggest that I’m not the only person it grates on. Have Ogilvy made too much of a mockery of the English language? I’m not saying that uniquely naming products, processes or services doesn’t work. In fact it’s something that I would typically recommend wherever practical and is something that has caused numerous brands to create significant definition from their competitors and dominate their market. There are hundreds of case studies on this one. An example which always makes me giggle is ‘google’. Pre-Google days one would never say “I’m going to yahoo that”. Since 1998 ‘google’ has become a proper noun and a verb and as a friend of my recently told me has even made its way into a published dictionary as a proper noun and verb—I’m not talking about urbandictionary.com and I don’t remember which one it is, I think it was Macquarie?! Don’t quote me on this one. At the end of the day it comes down to interesting and clever use of words, quality product and great brand positioning. 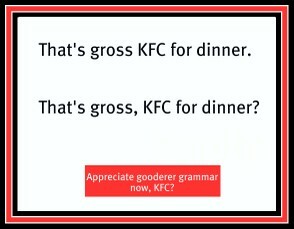 Will KFC do this with ‘goodification’? That remains to be seen… it always comes down to test, measure, refine.